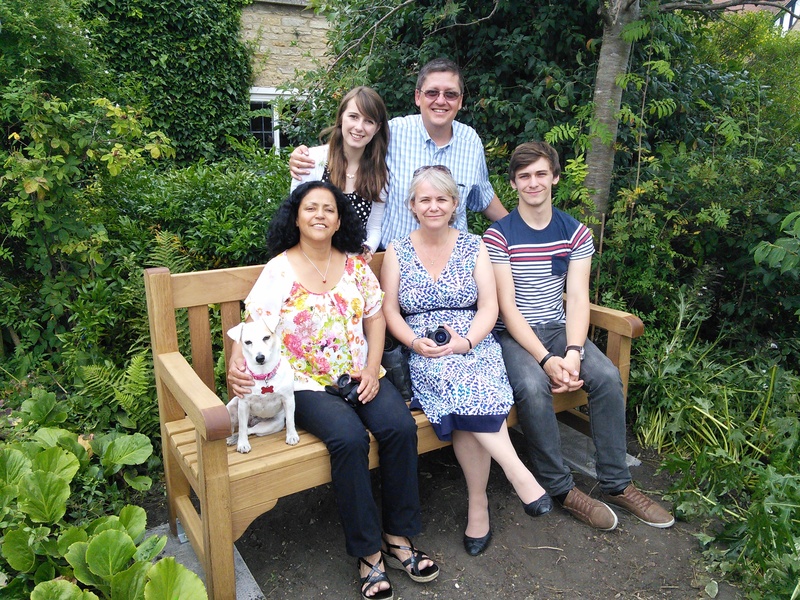 ‘Amazing Grace’ was penned by the Rev John Newton during his time here in Olney. Amazing Grace’ was originally titled ‘Faith’s Review and Expectations’ . It was published by John in 1779 as hymn number XLI in a hymn book titled ‘The Olney Hymns’. All 348 hymns in the hymn book were written by William Cowper or John Newton. When was ‘Amazing Grace’ written? It is highly likely that ‘Faith’s Review and Expectation’ (Amazing Grace’) was written by John in the weeks leading up to his New Year’s Day service on 1st January 1773. The evidence for this comes from research carried out by Marylynn Rouse of the John Newton Project. 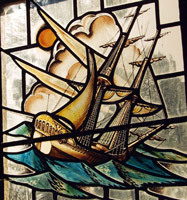 She has connected information from John Newton’s sermon notebook in Lambeth Palace Library, the first edition of the ‘Olney Hymns’ as well as John’s diary which includes entries for January 1773 held by Princeton University Library. John was at home in Olney during this time so the hymn was probably written in the top floor attic study of his Vicarage. What is the hymn about? John had decided to base his sermon on 1 Chronicles 17, an ideal subject for New Year’s Day . As with his hymns, John often used examples from his own life to help his congregation of lacemakers, farm workers, trades people, young people etc understand his message. As David is encouraged to do in this passage, John talked about looking back at life and considering who you are now, as well as looking forward to what the future might hold. 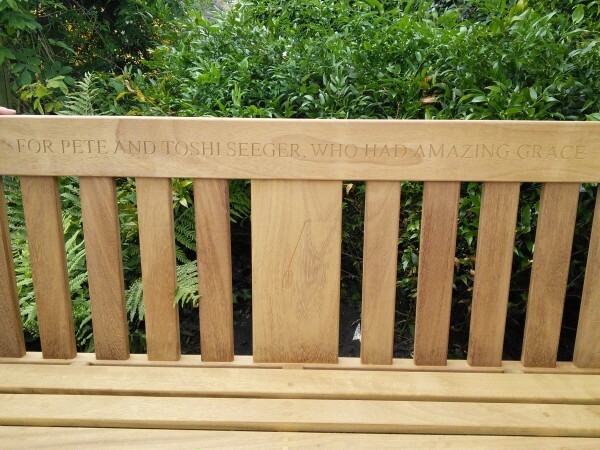 Jonathan Aiken in his book ‘Disgrace to Amazing Grace’ also suggests that John might have been looking to support his friend William Cowper who was again slipping into deep depression. To what tune was Amazing Grace sung? We don’t know for sure but Marylynn Rouse of The John Newton Project has also carried out research into possible tunes of the day. Visit the John Newton project website to listen to the English Chamber Choir singing ‘Amazing Grace’ to some of these tunes. When did John & William start writing the Olney Hymns? 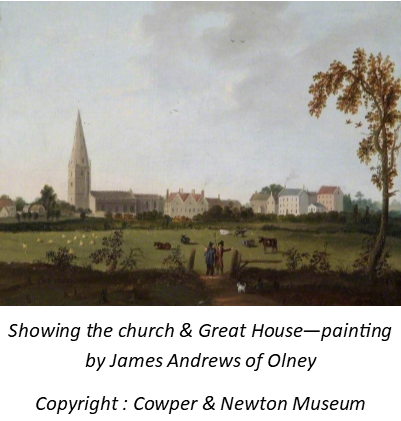 There is debate as to how soon after William came to live in Olney in 1767 that the idea of publishing a collection of hymns was taken. John was already singing hymns with his congregation in group meetings at the Vicarage, Lord Dartmouth’s unoccupied Great House or in the Church, and in church services. John then went on to propose making use of ‘the large room in the great house on the right hand side; ..’ One of the rooms was already used to hold Sunday meetings, and for catechism with the children. And the Preface to the hymn book also clearly indicates that it was before William’s next major depression at the beginning of 1773. 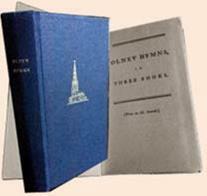 What do we know about the publication of the Olney Hymns? Prior to the publication of the hymn book, a few of the hymns had been published previously as early as 1769 in magazines such as the ‘Gospel Magazine’. John notes in his preface that other people had been putting their names to William & John’s work. William wrote 67 hymns before severe depression stopped him and John wrote the remaining 281. John transcribed all the hymns into 2 notebooks before going to print. 1 book is missing but the other is owned by the Houghton Library, Harvard University. How famous is ‘Amazing Grace’? .The Illustrated Timeline on the American Library of Congress website gives a fascinating overview of how the 18th century English hymn became one of the best known hymns in America. Here you will be able to see and hear how the hymn evolved with information, images and sound recordings from the online catalog of the Chasanoff/Elozua Amazing Grace Collection which includes more than 3,000 published recorded performances of the hymn. We in Olney, through the Olney Newton Link, continue to support villagers in Sierra Leone whose ancestors suffered so. We also recognise that the slave trade continues today, albeit in most cases under cover of criminal activities. Using Amazing Grace as a theme and having no control over content, we offer links below to other websites you may find interesting and inspiring. 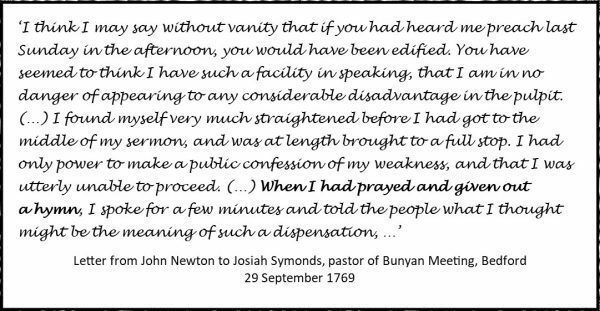 The John Newton Project Oh, it was mercy indeed to save a wretch like me! The Olney Newton Link The Olney Newton Link's aim is to advance education and relieve poverty in Newton, Sierra Leone by the provision of charitable assistance. Amazing Grace and its connection with Lough Swilly Ireland's beautiful Lough Swilly was the setting for a dramatic story which changed the life of a foul mouthed slave trader. 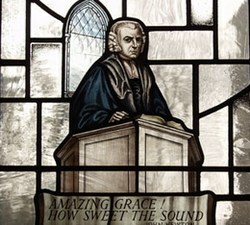 John Newton went on to pen one of the most famous and well-loved songs of all time - "Amazing Grace" and to mentor William Wilberforce in his long battle to abolish the Trans-Atlantic Slave Trade. St. Kitts Discover more about the John Newton's story the song "Amazing Grace" and the beautiful island of St Kitts. Be inspired to continue Newton's fight by discovering more about slavery in today's world. British Abolitionists wesite of Brycchan Carey , academic and author specialising in the history and culture of slavery and abolition in the British Empire. The Abolition Project website The Transatlantic Slave Trade and Thomas Clarkson and his fellow abolitionists who fought for emancipation of enslaved Africans in the British colonies. Pete encouraged 18,000 people to sing ‘Amazing Grace’ at his 90th birthday party in Madison Square Garden, New York. He loved this hymn. (Thank you to John Yatchisin for this inspiring donation).